Our unique range of bucket conveyors, appropriate for almost all bulk material handling applications, provides durable, low-maintenance conveying solutions. NERAK bucket elevators can be designed for the widest range of products in industries as diverse as the chemical industry, industrial mining, food packaging, and pharmaceuticals. NERAK bucket conveyors handle your product carefully along the entire path, allowing the product to move undisturbed until discharge – with no material breakup, no material deterioration, and no mixture separation as often found in other conveyors. The bucket conveyors have lower power requirements and less need for servicing and maintenance compared to conventional conveying systems. 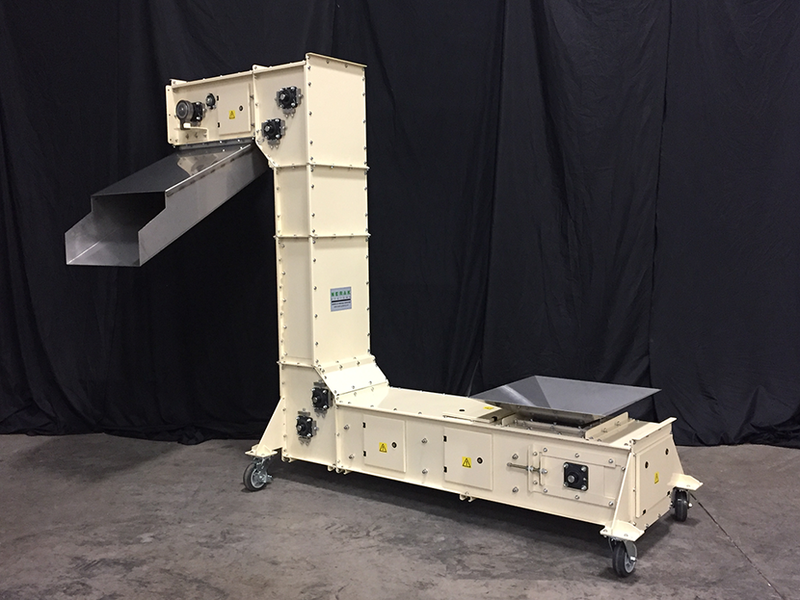 NERAK's continuous bucket conveyors transport powder and granular bulk material from one or multiple feed point(s) to one discharge point with high capacity on a small footprint. NERAK pendulum bucket conveyors are perfect to convey powder and granular bulk materials vertically and/or horizontally to one or multiple discharge points.